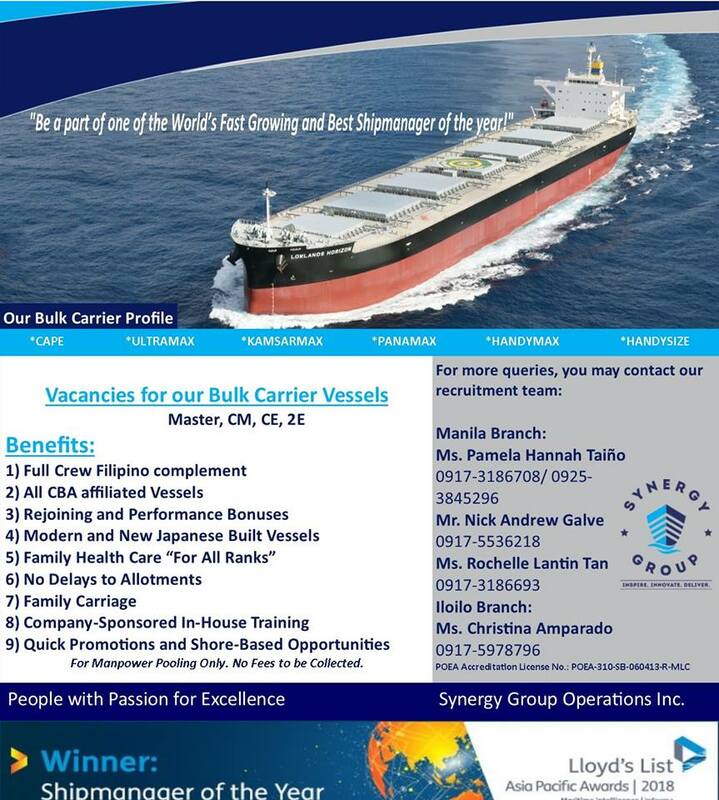 SEAMAN JOB INFO - Posted 12/Nov/2018 SYNERGYGROUP OPERATIONS, INC. 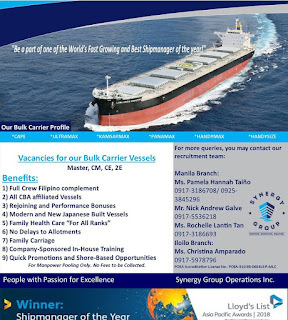 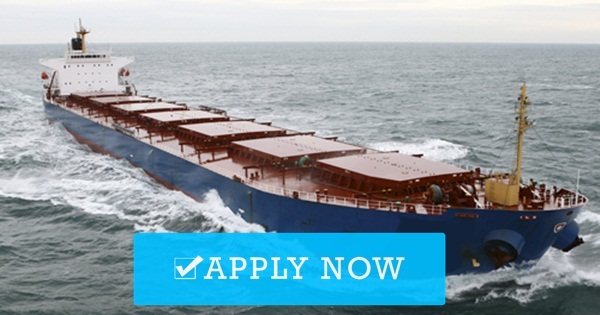 Hiring is needed Filipino ship crew rank officers, engineers, ratings deployment November 2018 - January 2019. 0 Response to "Master(2x), C/O(7x), C/E(5x), 2/E, AB, O/S, Cook, Fitter, Oiler"